Sponsored by University Police. Sign-up at University Police headquarters in Pathfinder Hall or at the event by donating six new food and/or household items or $6 to the University Police Department. All proceeds will go to SHOP (Students Helping Oz Peers) food pantry. Six players per team required. Refreshments available. Winners get a free T-shirt. 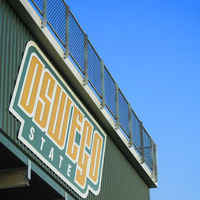 For more information: kevin.ermann@oswego.edu, hgomez@oswego.edu or kelly.thompson@oswego.edu.